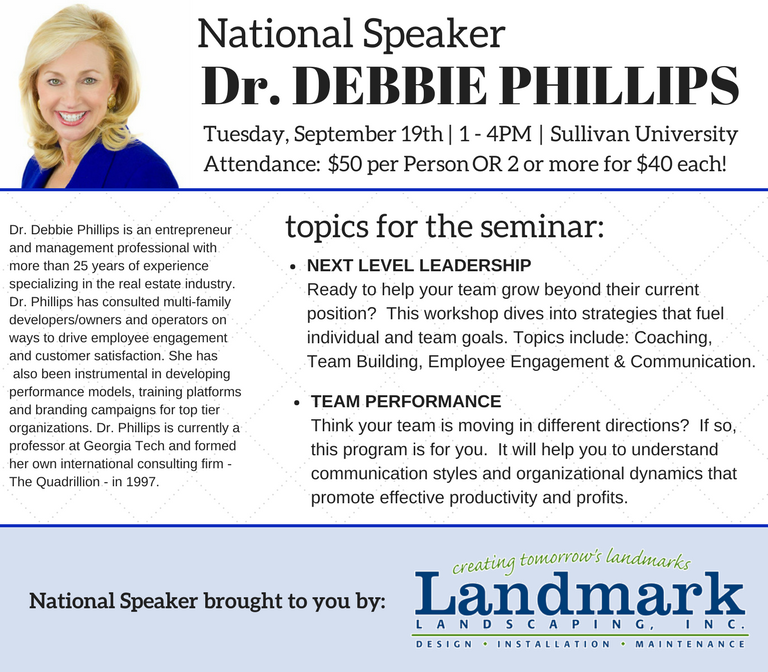 Join us on Tuesday, September 19th as we welcome National Speaker, Dr. Debbie Phillips! This program is sponsored by Landmark Landscaping! *If paying online, simply go Pay for Events (under the Calendar tab) and locate National Speaker - Debbie Phillips.